speeddatingfilm | It only takes a moment . . . It only takes a moment . . . 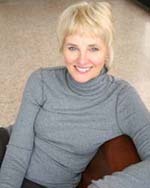 Originally a professional opera singer, Mary made the crossover into film and theatre in 2006, hoping to express herself in a more personal way through acting, and to reach a wider audience beyond classical music. Since then, she has been in many independent films and theater productions in the Boston area and last year acted in STC’s production of W;t. This spring she was on location in Long Island working on the independent film Wendy’s Game, which will screen this spring in Cambridge. In addition to acting, she has branched out into screenwriting. Her film Speed Dating is the first of her written work to be produced and will be screened this month in Brooklyn. 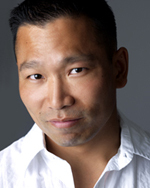 A native of Canada, Albert M. Chan began his acting career when he landed a role in Disney’s live-action film version of the classic 1960’s cartoon Underdog (James Belushi, Amy Adams, Jason Lee). Since then, he has been cast in Ghosts of Girlfriends Past (Matthew McConaughey, Jennifer Garner, Michael Douglas) and Every Day (Helen Hunt, Liev Schreiber, Brian Dennehy). On TV, Albert has been cast in 30 Rock, Law & Order SVU, ABC’s Body of Proof, HBO’s Da Brick (Spike Lee), the acclaimed Showtime series Brotherhood, and CW Network’s I’m Paige Wilson. 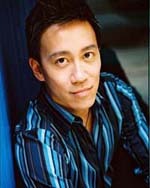 Albert wrote, directed, and produced his first film, Fate Scores, which was recognized by the National Film Board of Canada. Upcoming filmmaking projects include the adoption-themed film The Commitment and Descendants of the Past, Ancestors of the Future, which is based on the immigration experiences of his mother and grandfather. For more information, visit albertmchan.com. David always had an interest in Acting when he was a young teen. The excitement of having wealth and acknowledgment was hard to resist as a child. However, those aspirations fell way side due to the lack of exposure to the craft or industry. David has always been a motivated, goal driven person. So with Acting out of his reach, he developed a career in the Sales industry since the age of 16 and never looked back. He sold everything from fragrances, kitchen cutlery, and vacuum/air purification systems to Motorcycles, Cars and lastly as a Mortgage Broker managing his own office until the Big Mortgage Crisis of 08’. The timing couldn’t have been better. As his career ran into a detour, he was surprised by an email. It was a specified bulk email from a known Casting Agency for an audition on a commercial. The long story short was that he didn’t get the role. But that very audition was the ticket he needed. He plans to never look back on this career as well, now that he has found his new passion for the craft. He has worked on several principal roles for independent projects and Pilots. Currently he is embracing his abilities to write screenplays and studying at the Carter Thor Studios East. Brian grew up in the small town of Ludlow, Massachusetts. He began his acting career several years ago making four-hour commutes to NYC to attend auditions and acting classes where he found a passion for Acting and making movies. 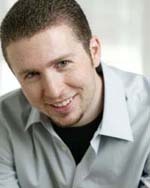 More recently, Brian has been involved in numerous films in the Boston area. He’s starred in horror shorts such as All Hell. Brian has also been involved in a number of comedies lately. Among them, Thief Jerky, one of Brian’s recent leading man roles was part of the Best of Boston selection in the 48 Hour Film Project. Most recently Brian produced, wrote and starred in a short film known as Paper View.